Jr. 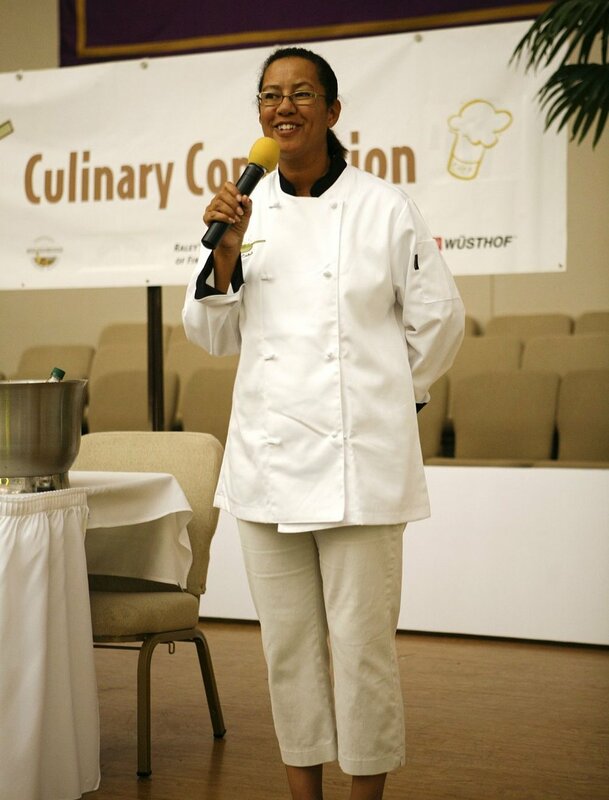 Chef Central was founded in 2004 by Karla Lacey, a former corporate executive with a passion for food and a desire to share her passion in a meaningful way. The idea behind Jr. Chef Central was simple. Teach kids, ages 10-15, how to cook. Incorporate the circle of life of food so they would be educated cooks and consumers—from the farm, to the market, to the grocery store, to the plate. Build a foundation based on solid culinary skills, nutritional facts, and the table as a community. Structure the program so all participants would learn to be comfortable wherever and with whomever they were breaking bread—no matter the company, place, or occasion. Use time-tested methods of instruction: Treat every child as capable of accomplishing every task required; tell, demonstrate, assist, let go. Seems we’re doing something right! Dedicated instructors and culinary professionals have learned through our program to consistently impart information to young people whether in small classes of 12, groups of 75, or crowds of many more. This style of teaching has worked with children from all walks of life and with multiple levels of ability—Down’s Syndrome, cerebral palsy, ADD, vegetarians, picky eaters, and budding connoisseurs alike. We’ve been honored to take part in an academic research program providing health-enhancing experiences for kids, including meal preparation, to affect academic performance. And in a grant funded program, targeting lower-income elementary students, teaching preparation skills using seasonal fresh produce—all with a focus on teamwork, knife safety, sanitation, and dishes prepared from scratch that they can make at home. Parents constantly tell me “I can’t believe you got my child to eat this!” The truth is, I didn't get them to do anything they didn't want to do. Because they had a hand in deciding what to make, and two hands in making it, they were eager to eat. And just as proud to share what they made with others.